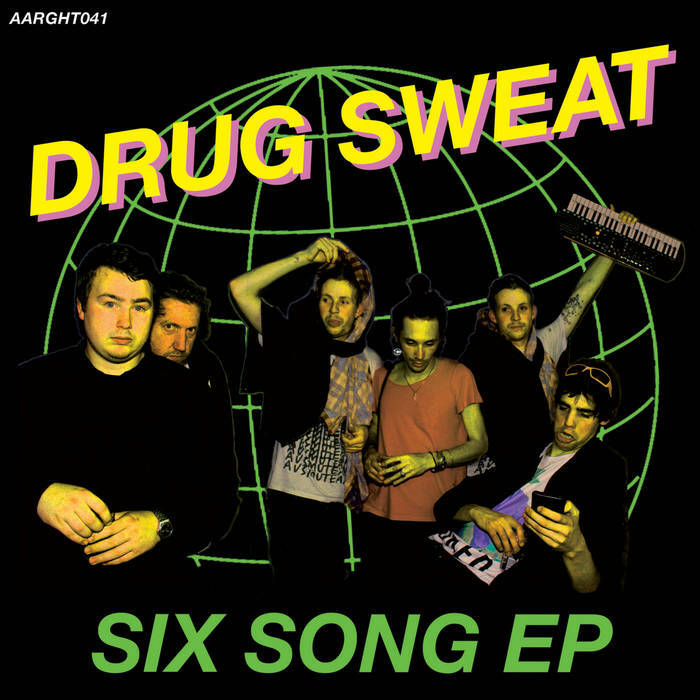 Home > DISTRO 7" > DRUG SWEAT "Six Song" 7"
Latest from the quality blokes at Aarght comes Drug Sweat, whom you'll immediately recognize from the cynical sneers of shared Ausmuteants member Jake Robertson. And while I can certainly see Ausmuteants fans going for this, Drug Sweat have their own oddball new wave thing going, incorporating a heavier guitar and synth sound into these six jammers. Some seriously driving, unhinged Aussie rock laced with explosive synth and a real percussive catch. Plenty of replay value across this thing, a true new winner from Melbourne's fertile scene of sweatsmen. Aarght.